Kalgoorlie is the largest outback city in Australia and the heart of gold mining in Western Australia. 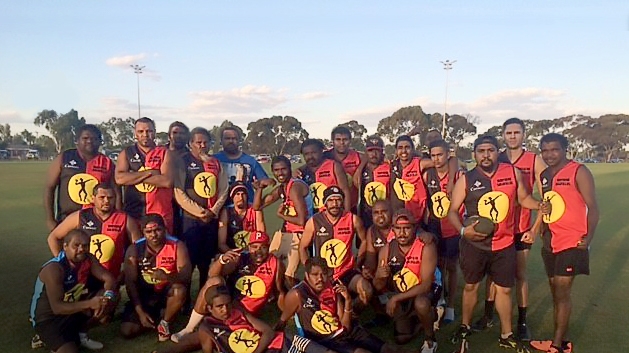 But the focus recently was not on gold mining but on football, as 14 teams of indigenous players from surrounding shires descended on the city for 3 days of competition of Australia’s favourite game: Aussie rules football. 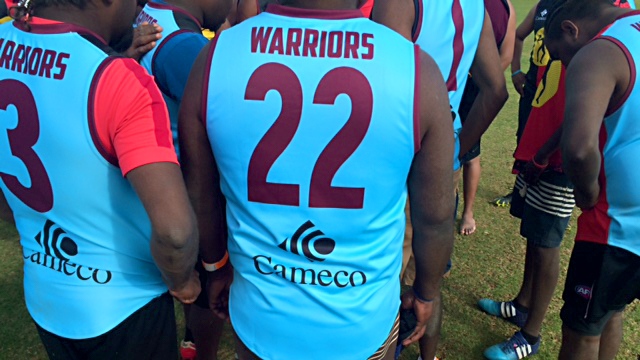 Cameco was proud to once again sponsor the Northern Goldfields Warriors, a team of 27 players from the Wiluna and Leonora areas, who travelled about 300km to take part in the carnival. Players took to the field in a jersey designed by team members to symbolise the unity and friendship between their communities. The carnival was part of ongoing NAIDOC activities in Kalgoorlie, which is a time to celebrate Aboriginal and Torres Strait Islander history, culture and achievements and is an opportunity to recognise the contributions that Indigenous Australians make to society and the country. The Warriors put on a great show of football and were highly competitive this year. Congratulations to the whole team!